China, one of the world’s largest countries and the second biggest economy in the world has hit its spotlight on Israel. By investing billions of dollars in Israel in the last three years, China has shown the world that it has targeted Israel and has plans for future investments as well. China and Israel have been collaborating for years in cross border trade and has had good diplomatic relations in the past, but it is just recent that the business relations started to take significant proportions. 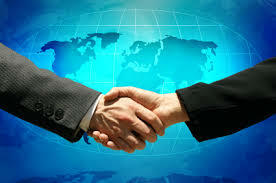 Starting with a rather small but yet important investment, the business relations between the two countries took off at a speed no one has ever seen before. Today the investments exceed billions of dollars, and the future is looking bright. How did this successful development start? Around the year of 2010 the Chinese government reduced some of its restrictions on outbound investment. The government encouraged investments in high tech, biotech and agritech, all fields in which Israel has outstanding technology. 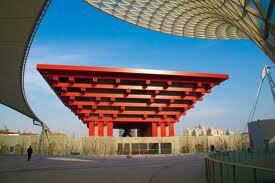 In addition to the loosened restrictions, Shanghai hosted the World Expo 2010, which was the largest one so far in terms of money spent and countries participating. The World Expo was a tribute to international fairs and expositions, with over 190 countries participating and 70 pavilions being built on the theme urban development. This was the first time Israel had its own pavilion in the World Expo, which allowed Israel to brand itself as a country leading in technology and innovations. The networking in combination with the encouragement of investments in high tech countries may have been of importance to the businesses that were carried out during 2010 between China and Israel. 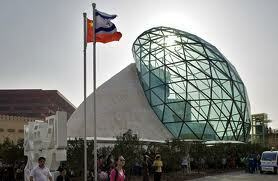 During the year of the Expo, a first investment in Israel by the Chinese company Sanhua Zhejiang was made. The investment of $10 million in Israeli company Heliofocus, increased the value of the targeting company to $45 million and aimed to lower the costs of the development of solar technology. Heliofocus was considered an uprising star in the field and Israel as among the leading nations in the field of solar industry. Israel’s former Counsel General in Shanghai, Jackie Eldan, reports, “This is the first investment of a Chinese company in an Israeli company.” He continued by saying that this first investment would lead the way to a continued collaboration and investment of Chinese companies in Israel. In February, only one month after Sanhua’s investment, Chinese owned Yifang Digital acquired Israeli Pegasus Technologies for the amount of $60 million. The Yifang- Pegasus deal was the first time an Israeli company was acquired by a Chinese company and it put Israel on the map in terms of being a country that has a lot to offer businesswise. Pegasus Technologies was the leading provider of digital pen technologies and solutions and produces lines of digital pens that translate handwriting into digital formats, and together with Yifang digital they had now joined forces in combating the world market. 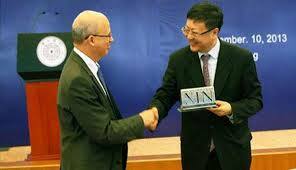 2010 had yet one more important matter to bring into the relations between Israel and China. Before 2010 it had been difficult for Chinese to receive a visa into Israel, the procedure taken over one month. In September 2010 Israel and China signed a tourism agreement to simplify the procedures for a Chinese to obtain a visa into Israel. The new simplified process encouraged more Chinese business people to come to Israel. Chinese tourists are in fact choosing Israel as a destination at a higher rate than before the tourism agreement and the business delegations increased after the agreement. During the period of 2010,Chinese business delegations increased in Israel. China started to invest in Israel and saw investment opportunities and interchange in business as well as in development possibilities. The previous investments in Israel had been on a relatively small scale. Well, this was about to change. A startling sum of $2.4 billion sat the new bar in 2011. China’s second largest chemical enterprise, ChemChina, chose Israel as one of its first investment countries, acquired 60 % interest in Israeli Makhteshim Agan, whereof 53 % held by Makhteshim’s public shareholders and 7 % from Makhteshim’s controlling shareholders. In 2011 this was seen as the largest cross border acquisition of an Israeli company as well as one of the largest cross border acquisitions of a Chinese state owned enterprise in the last five years. The acquisition allowed ChemChina to be the world’s biggest generic agrochemicals company, already being a $30 billion company before the acquisition. There is no doubt that China was making big plans for investments in Israel at this point, investing billions of dollars. 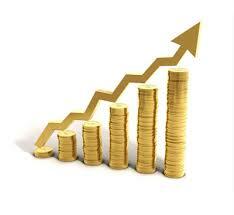 In 2013, projects and investments started to expand dramatically. Israel and China signed a $400 million trade agreement, which expanded the existing financial protocol between the two countries to more than $2 billion, looking at an $8 billion trade amount annually between the two countries. Israeli Prime Minister Benjamin Netanyahu led a five day delegation to China to meet Chinese Prime Minister Li Keqiang, and signed the agreement. The agreement will hopefully lead to an increased bilaterial trade between the countries where the amount of 8 billion dollars will be exceeded, says Netanyahu. The same month, Chinese company FosunPharma, a leading healthcare company in PRC, and global leading Israeli company Alma Lasers, announced a joint acquisition. FosunPharma invested $240 million in Alma Lasers and now holds 95.2 % of the Israeli company. Alma Lasers is considered a world leading enterprise in the field of medical laser, and FosunPharma does not hold back the praise and expectations of the future with the Israeli company. Four major projects concerning academic and scientific collaboration started in 2013, allowing universities in both China and Israel to collaborate in the scientific sphere. The projects were introduced as to invest in reforms of education, provide optimal conditions for creativity and create a base for mutual understanding in the business industry. While visiting the Technion, Chairman Li saw potential in yet another upcoming Israeli company, Waze Ltd. Waze , which provide free car-app services, was about to expand in Asia, whereas Mr. Shing saw the opportunity and invested around $30 million into the project. Waze went from 2 million to 7 million users under 10 months and is widely known for its services. Waze was acquired by Google in June 2013 and has now got a market value of at least $1 billion. 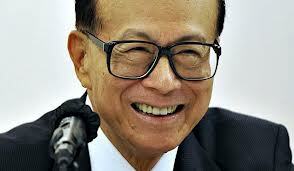 Chairman Li, like billionaire investor Warren Buffet, saw the ongoing trend of American companies investing in Israeli companies and hoped on the train. 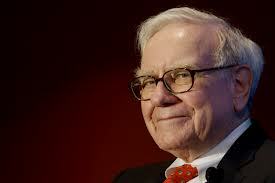 Warren Buffet recently stated that Israel is the “most promising investment Hub” outside U.S. Following the successful project of Technion and Wazer was a project concerning Israeli accelerator program Elevator, which was created for seed- funding startups. The Elevator program raised $10 million from Chinese investors and institutions in china. The amount will be spent through investments in 20 companies over the course of a year and will help new companies to establish in the market. A third education project involved Israel’s biggest university, the Tel- Aviv University and Chinese top university Tsinghua. The two universities intended to co-establish a unique joint center, named the XIN center, as an international hub for scientific and technical innovation. XIN (“new” in Chinese) will advance interdisciplinary research, provide optimal conditions for creativity, and promote activity in fields that can truly impact society in both countries and the entire world. In the framework of the XIN project, an investment fund will be established to seed ventures initiated by XIN Fellows. The fund of 100 million yuan (about $ 16 million) will be set up by Infinity Group. Investors in the fund will include the Beijing government and alumni of Tsinghua University. The forth education project was the establishment of the first Israeli Studies Center in China, at Jiaotong university in Shanghai. The aim with the project was for students to learn about Sino- Israeli relations, including topics such as business strategies, comparative studies in politics and technology and so on. Jiaotong University is working together with Israeli University Tel- Aviv and the project is seen as of great importance for the future collaboration between China and Israel. 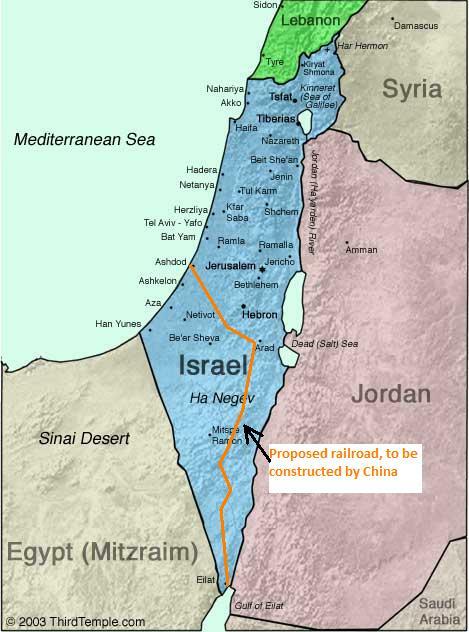 In October 2013 Israeli transport Minister Yisrael Katz and China’s Minister of transport Li Shenglin signed a memorandum of understanding concerning a railway that will allow goods to be transported to and through the Suez Canal. The short distance to Asia from the Suez Canal makes the MOU important in terms of trade and business. Instead of going around Africa or seeking the permission of Egypt to pass, trade can, by the railway, reach the Suez Canal and be transported directly into Asia. (See images below.) The link between Eilat and Ashdod will allow inland transport through an inland passage, linking the Indian Ocean, through the Gulf of Aden, directly to the Mediterranean Sea. The memorandum of understanding establishes that Israel is in charge of the operations of building a railway in Eilat Israel, while China development industrial bank will handle part of the funding. The railway will link Israel’s Mediterranean ports in Ashdod and Haifa with the Eilat Port. The railway is considered important both for strategic and policy purposes. This brief summary shows how the Chinese discovered the start- up nation Israel and started to invest billions of dollars in Israeli technology. It also shows the importance of collaboration in different fields of interest and the outstanding result it can bring. We believe that the last three years increasing collaboration and investments, is a sign of a promising and prosperous future between the two nations, China and Israel. Amit Ben-Yehoshua is a dual citizen of the United States and Israel and is licensed to practice law in California and Israel. Amit holds a Master Degree in Chinese law from Tsinghua University of Beijing and serves as a Senior Counsel at Da Cheng Law Offices, Asia’s largest law firm. Amit can be reached at amit.ben-yehoshua@dachenglaw.com or +86-137-6136-0176 . Clara Eriksson is a qualified lawyer in Sweden and is currently undertaking an internship at Da Cheng Law Offices, Shanghai Office. Clara can be reached at +86-021-3872-2492.